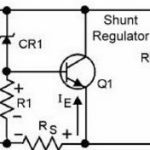 The zener voltage regulator is used in the emitter follower regulator. It is used with a small load current range over which the output DC voltage remain constant. It is used to regulate or vary the output voltage of the circuit. 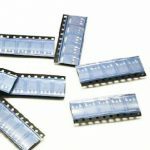 It is used in analog and digital circuits requiring precision references. It is used in source and sink circuits current. It is used to adjust voltage or current linear and switching powersupplies. It is also used in error amplifiers.